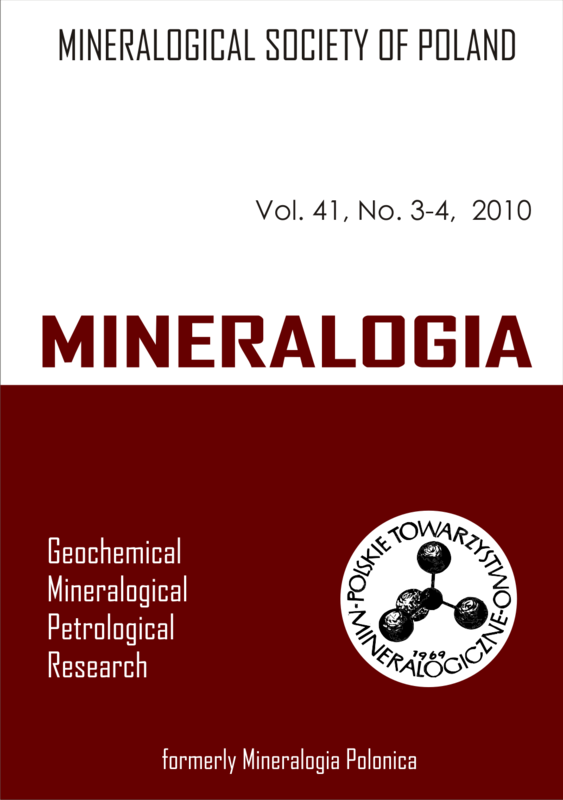 Mineralogia, an open access journal publishes original papers in the scope of widely understood mineralogical sciences (i. e. mineralogy, petrology, geochemistry, environmental sciences, applied mineralogy, etc.). Mineralogia (formerly Mineralogia Polonica) is an English language journal with 40 years long tradition. offers both printed (ISSN 1899-8291) and electronic versions (eISSN 1899-8526). Original research papers up to 20 pages (1800 characters per page), review papers, scientific communications, short notes (e.g. new interesting occurrences of minerals), book reviews and letters to the editors with comments on the papers published are published. Authors of larger manuscripts are asked to contact the Editor before submission.